Whether your child’s condition is hearing loss or chronic ear infections, we are here to help. Our team provides compassionate, family-centered care to help your child get back to the job of being a kid. 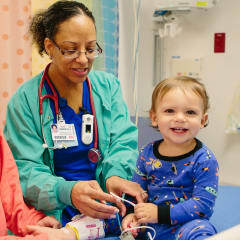 Children benefit from the extensive resources of Wolfson Children’s Hospital. We have the most experienced specialists around working together as one team to deliver the best outcomes. When ear infections interfere with hearing or occur frequently, your child may need ear tube surgery (myringotomy). Our expert ear, nose and throat surgeons perform a large volume of these procedures at Wolfson Children’s each year, which means better results for kids. Learn more about surgery at Wolfson Children’s. Our expert ear, nose and throat surgeons have performed hundreds of successful cochlear implants in children. This can be a life-changing event, opening a new world of sound and language. Learn more about surgery at Wolfson Children’s. Wolfson Children's speech-language therapists help children learn the very basics of speech following activation of their cochlear implant. Our Children’s Hearing Program provides medical expertise and resources for hearing-impaired children. 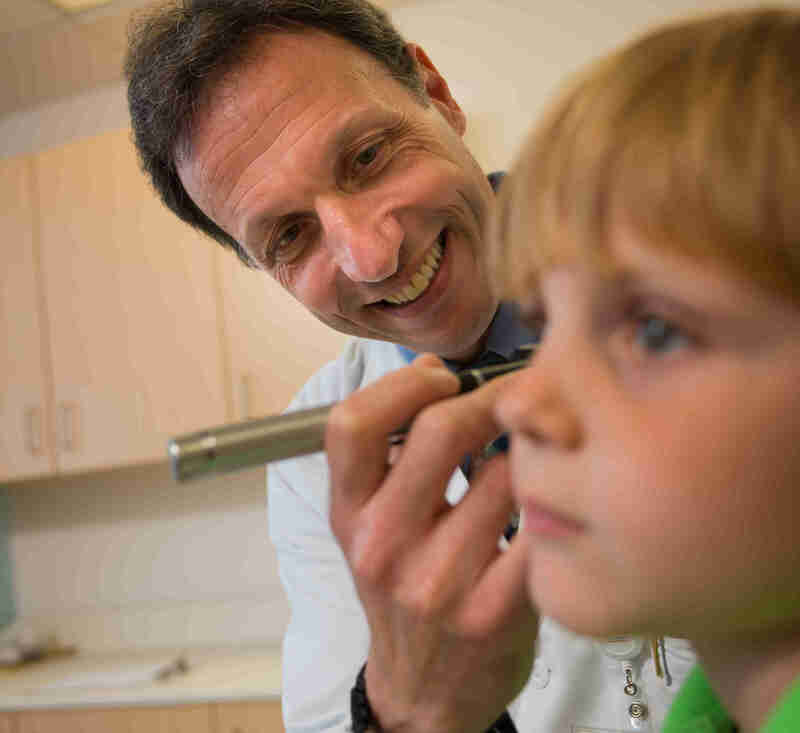 All the resources and guidance families need is provided by our team of pediatric otolaryngologists, audiologists and speech-language pathologists. If you need help figuring it all out, call us to schedule an appointment at 904.697.3600. Our ears and hearing services help children from North Florida, South Georgia and beyond.